Cloud based phone systems are one of the most versatile investments a small business can make. For a very low monthly fee, you can get one virtual system that takes up no space, utilizes the phone system you already have, transforms the image of your business and actually facilitates getting more phone calls. Investing in a cloud based phone system will stop the loss of money and will get your business on the right track. Cloud based phone systems can replace costly equipment and grow with your business, all the while keeping up with technological changes. 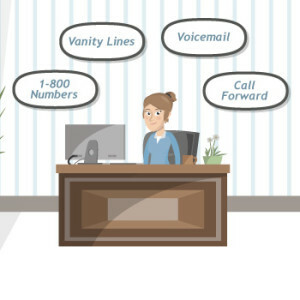 When you invest in a cloud based phone system, you can increase the phone calls your business receives easily by adding more local phone lines, toll free numbers and vanity phone numbers. Research shows that having an easy-to-remember number, a local number or one that incurs no long distance charges increases the likelihood that shoppers will pick up the phone and call your business. And of course, higher call volume leads to more sales. Nothing makes your small business look more like a brand new startup than not having a professional phone system in place. Every business should be able to place clients on hold, transfer calls and ensure phones are answered during business hours. With a cloud based phone system like Halloo, you can easily and affordably do so. This ensures you never again lose a sale because the potential customer is concerned about just how new and inexperienced your company might be. With a cloud phone system you can take your business wherever you go. That means a customer’s call is never missed because there is always someone to answer the phone. Because your system is virtual, if you have Internet access, you have instant information on your caller, so you can always deliver the very best in customer care. Built-in contact management ensures that you have instant access to the valuable data you have on your customers. Even if your business is drastically affected by bad weather or other emergencies, your calls never need to go unanswered because the entire system is cloud based. Save money, project a better image, and provide the best in customer service with a sophisticated cloud phone system like Halloo. It’s simple to get started, just click here. This entry was posted in Cloud Phone System, Halloo, Small Business by daniel. Bookmark the permalink.